Saturday | September 22, 2018	Quench your thirst! Bakerzin brings to you more beverage choices this September! Introducing Upbeat Cold Pressed Juice in four zesty flavours - Carrot Power, Groovy Guava, Wonder Melon and Lucky Lemon. 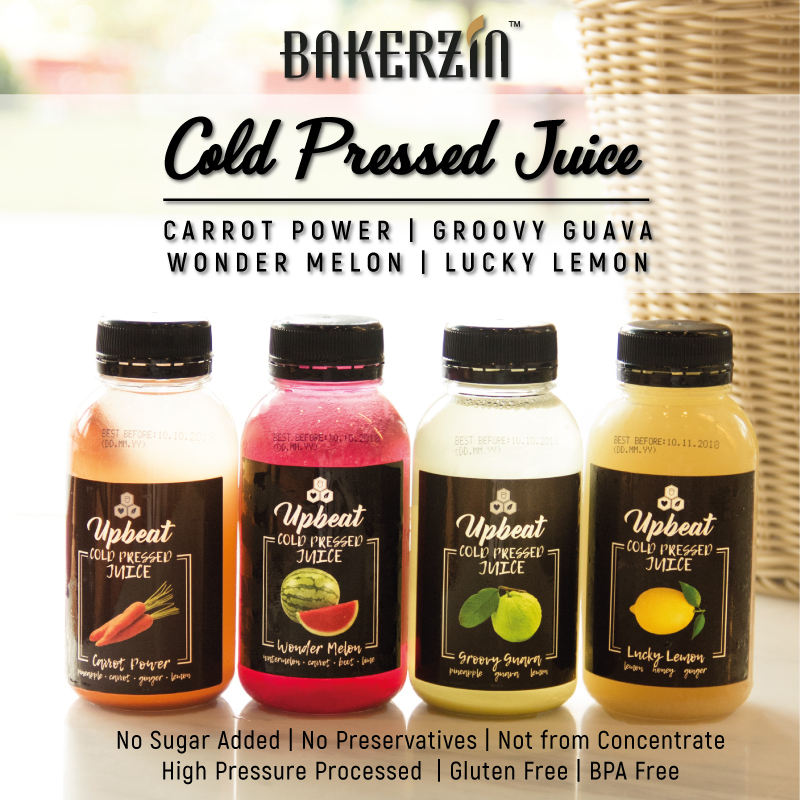 These cooling drinks are preservatives, gluten, BPA and sugar free, grab them at any Bakerzin outlets from today onwards!